I am back with a challenge for this months Challenge YOUrself blog. These are such fun to take part in because this is ALL about you, and who doesn't love that? This months challenge is to use a die-cut, and of course to feature a photo of you. I found this die cut in my stash and so I am very happy that I finally got to use it. The other pattern papers are from Bo-Bunny and are from the gift I received from Denise van Deventer at NSD this year. They are sooooo pretty and are from the Sweet Moments collection. When we got married I never gave a thought to what my life would turn out to be. I married a cop and I just thought you would always be a cop earning a cops salary. Yet here we are 40 years on and living the life! You did good, and I am so grateful for you, you have always taken care of your family. It has taken years of blood, sweat and tears to get to this and I love the life that we have so thank you! Know that I love you. I used a couple of different alphas to create my title and the journalling is on a little journalling tag. I also used a doily and a heart punch. The same for the little cluster at the top of the page. I also have a couple of other layouts to share. All of these layouts have been created after doing one of Shimelle Laine's classes... As you can see I am a little obsessed by her. I just love her easy style which has become easy for me too. This layout is for our travel album and my journalling is on the little tags at the bottom and tells just how hot it was in Rome when we were there. The queue at the Vatican was so long and it was so hot there was no ways I was standing out in that sun. Simon snuck in the back door while I waited in the shade for him. No ways I could do it. This is opposite the layout above in my album so I used the same papers... but I don't know whose they are. My journalling tells how grateful we were to get to a place where there was sea and we decided that we could not do any more 'all day - every day' sightseeing the heat was just too unbearable. 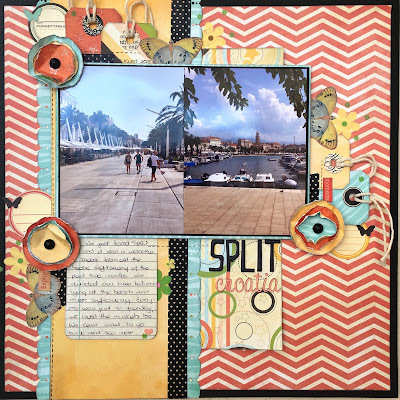 Split was small and so we did a beach day then a sightseeing day. We walked all along the promenade down towards the harbour where the small boats were. I just love this kid too... She has such a big personality. She was playing in the garden.. She saw the cat slink under the gate to get out onto the road. Next minute madam copied the cat and escaped with daddy right behind her video taping the great escape when she laughed when she got out so proud of herself. She loves to play outside and what child isn't tempted by mud and water even if it is not warm weather yet. The papers for this are Fancy Pants - Dancing Girl. This layout is for my favourite grandson Spence. My journalling on the layouts tells how this child loves superheros and new clothes especially if they come with superheros on them. When he gets new clothes he dances around with glee and wants ALL the new stuff put on over whatever he is already wearing. He is just to cute. They have to pry to stuff off him to wash. He is such a delight. For this layout I used Simple Stories papers. Thanks for stopping by to take a look and for taking the time to leave me a comment I really appreciate it. Gorgeous line-up of beautiful layouts! Each on of them is a beautiful work and so different one from the other. Hi Val! What a beautiful collection of layouts! I love them all, but especially like the one you made for Challenge YOUrself this month. The die cut background and beautiful papers make this page an amazing one. And I just LOVE that photo of YOU! And your hand written journaling is so touching. To me, this page is what scrapping is all about! Thanks so much for joining us at Challenge YOUrself this month. We are very happy that you did! Wow, you have been busy... don't think I have made this many layouts all year! Love al the layouts. Totally. The one with the pic of yourself is great! What a wonderful photo of YOU and layout! Fab background die cut. Thank you for joining us at Challenge YOUrself. 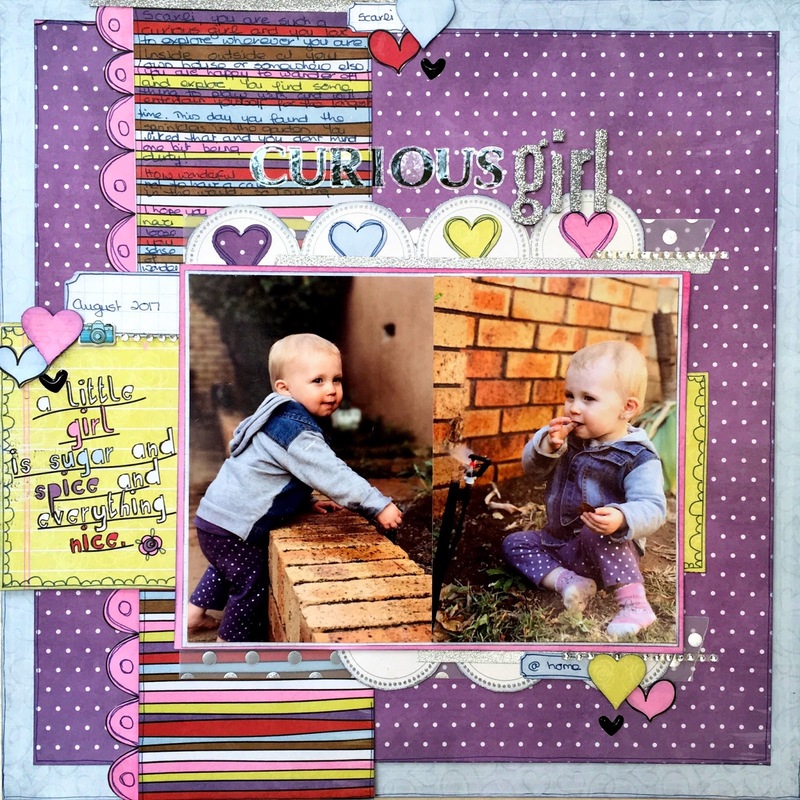 Such beautiful pages and projects Val! The first one is so pretty and soft...glad you like the goodies and have been able to use them! You certainly are a lucky lady! The travel pages are gorgeous and it's so good to scrap these memories and photo's...it's such a treasure for when one gets older. Loving the curious girl page...she is soooo sweet! Love the styling on this one. Thanks D... yes the kids are all getting so big it is hard to keep up. I couldn't believe it when I saw Joe was 10 already ... Time is going by way too fast. Valerie, beautiful layouts! This die cut is amazing! Love all details and embellishments of this one. Thanks for playing along with us at Challenge YOUrself! Every one of your layouts are BEAUTIFUL!! Love them! Thanks for playing along with us at the Challenge YOUrself Blog! What a treat to visit your blog and see the variety of topics you've been scrapping. Firstly the one of you and the heartfelt journalling. So pretty in pink and green with the cut file stealing the show. Love the Vatican page, but like you, I would not have been able to queue in the heat. Especially like the pops of black ?lace. The Split page is stunning too with the bold papers and the tags. Your curious girl sounds like a real character - exploring and experimenting. Doesn't seem long since she was born and now into everything. As for your superhero! Gotta love little boys and he is just too cute. Funny how they are drawn to the superheroes. 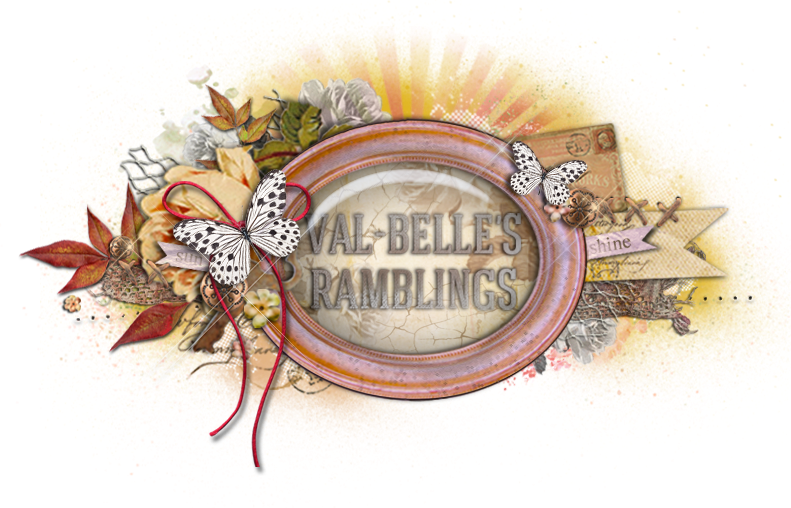 A wonderful collection of pages Val. Thanks for the inspiration.